Get a Grip on Playtime.™ Ready, Set…GO! Launch into a more imaginative playtime with the Go Grippers™ Grip and Go Launcher™! The signature easy-to-grasp material of the vehicle included makes it easy for your toddler to load the vehicle and release into laughter by pressing the big red button. Perfect for encouraging chase-and-play time. 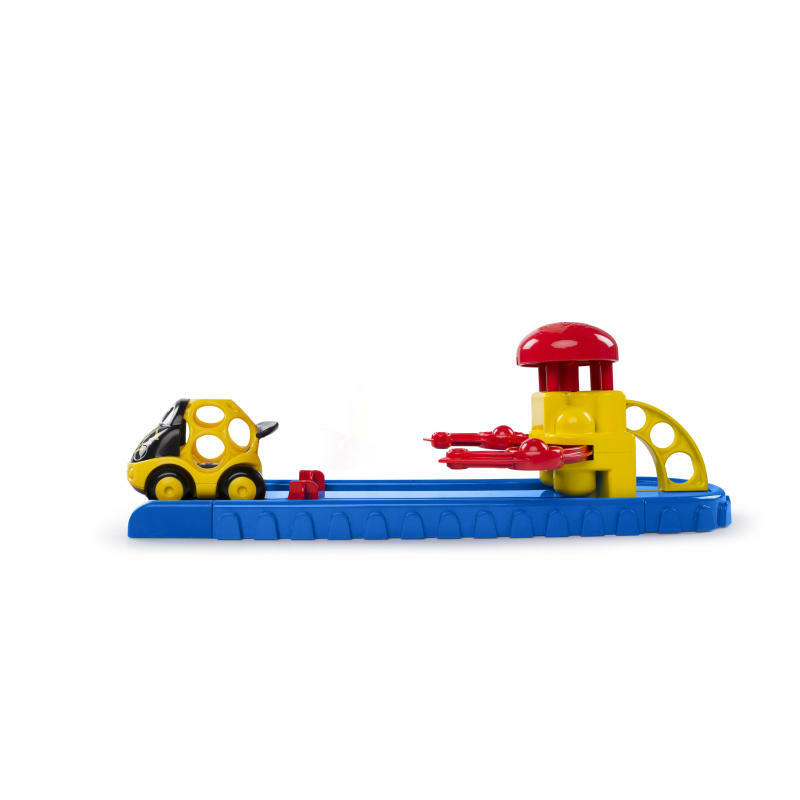 It’s the perfect toy to add to your Go Grippers™ collection as it is compatible with the Go Grippers™ tracks and with most Go Grippers™ vehicles. Recommended for ages 18 months and older. Launcher is easy for little hands to load…and launch! Just push the car back, and the claw grabs hold until the red button is pressed…then ZOOM! Launcher can be connected to Go Grippers track to create new and exciting layouts! Launcher is compatible with most Go Grippers vehicles. Includes 1 Go Grippers Racecar. Dimension (in) 14.5" x 5" x 5"